A fun and engaging toddler birthday party game can change a birthday party that is dull and insipid to a lively, fun event that meet’s your toddlers definition of ideal fun. 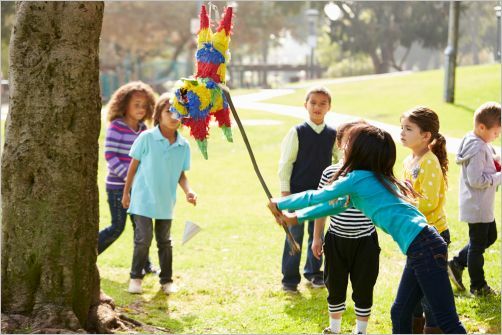 If you are unsure as to the group dynamics of your little guests, you’ll want to have a number of game ideas up your sleeve. Here are a few of my birthday party game favorites; tried and true games children are guaranteed to love. Another classic, this toddler birthday party game will get everyone moving. You may have to squash some squabbles about who sat first, but that comes with the toddler territory. Put chairs in two rows, back to back, in the middle of the room; enough chairs for all but one of the children to sit down. Turn the music on, and have them march around the chairs. When the music turns off, everyone sits down as fast as possible. Whoever didn’t get a chair is out. Remove one chair, and repeat the game till only one child is left or till your outed toddlers are out of patience. This is one birthday party classic that works especially well for toddlers. For the really little guys, you can dispense with spinning around. When it’s party time, have the children take turns getting blindfolded, spun around, and then pointed in the direction of the donkey. They place their tail where they think the tail might be. After everyone has had a turn, the child who succeeded in placing his tail closest to the real tail-spot wins. Doggy, Doggy, Who’s Got the Bone? Best for slightly older toddlers, this is a fun birthday party game that can send hyper little people into peals of excited laughter. The doggy guesses who stole the bone. If he guesses right, he is cheered; if he guesses wrong, booed. He joins the ranks of children and the next doggy gets up. 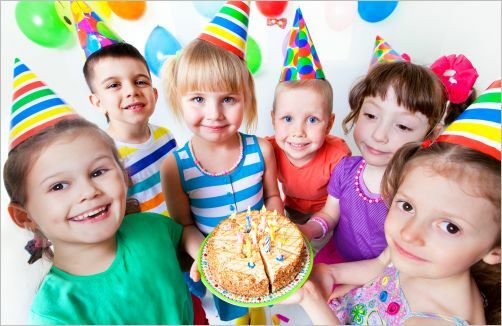 Have fun playing toddler birthday party games with your little people, and take lots of pictures of those happy faces!